BTC’s Project Help the Bee: Flower-up the City Listed in the European Urban Nature Atlas • BTC d.d. The project Help the Bee: Flower-up the City, which BTC implements in cooperation with the City of Ljubljana and other project partners, has been listed in the Urban Nature Atlas. The Urban Nature Atlas is a collection of nature-based solutions found in European cities, generated by Naturvation, an EU partnership led by Durham University (GB). 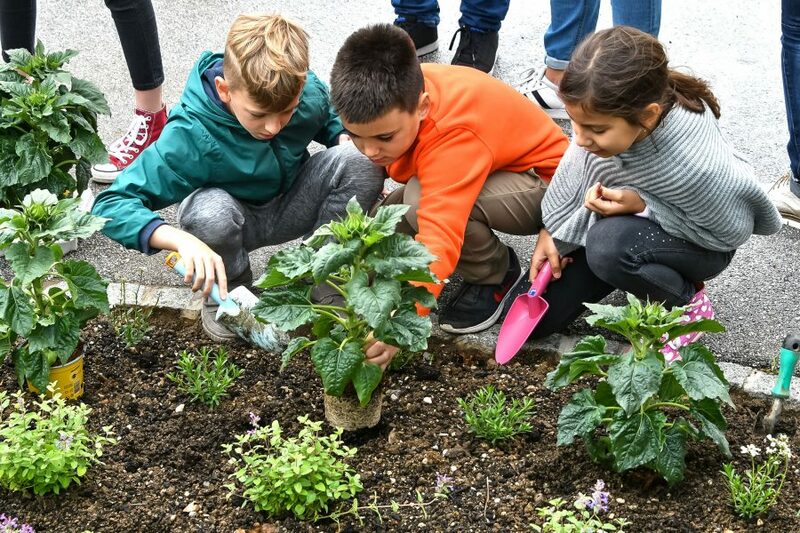 The goal of the project Help the Bee: Flower-up the City is to raise awareness about the importance of bees and encourage the citizens of Ljubljana to plant honey flowers on their balconies and window sills. In addition to the main project partners – BTC and the City of Ljubljana – the project is also supported by the following: A1, Medex, Merkur, Hofer, Minicity Ljubljana, and Semenarna Ljubljana. As part of Naturvation, the Urban Nature Atlas is a collection of model nature-based solutions for cities. Nature-based solutions use the natural properties of ecosystems. They have the potential to limit the impacts of climate change, enhance biodiversity, and improve environmental quality while contributing to economic activities and social well-being. This reference atlas includes 10 projects from Slovenia. One of them is BTC’s programme Help the Bee: Flower-up the City (https://naturvation.eu/nbs/ljubljana/company-program-urban-bees-preservation). On 20 May 2018, we celebrated the first World Bee Day, while the project Help the Bee: Flower-up the City is already taking place for the fifth year in a row in 2018. This year, the main project partners – the City of Ljubljana and BTC – have organised a number of activities together with their other partners. 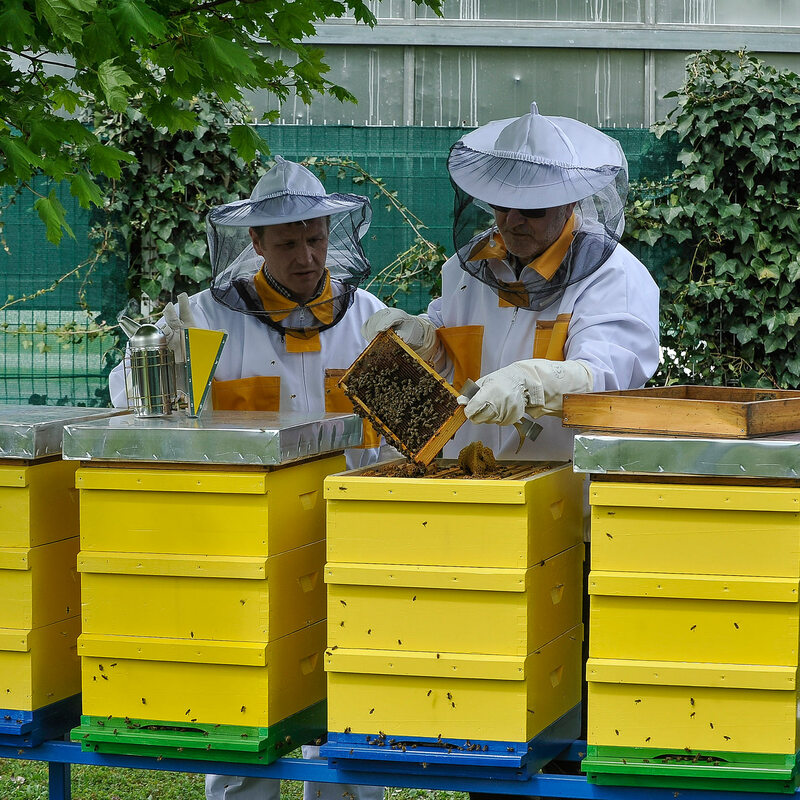 At the beginning of April, they gave out bags of honey flower seeds and expert advice on how to provide the bees with enough pasture to people in the Ljubljana city centre. In April, the BTC City Market hosted the Urban Beekeeping exhibition and a flower fair. 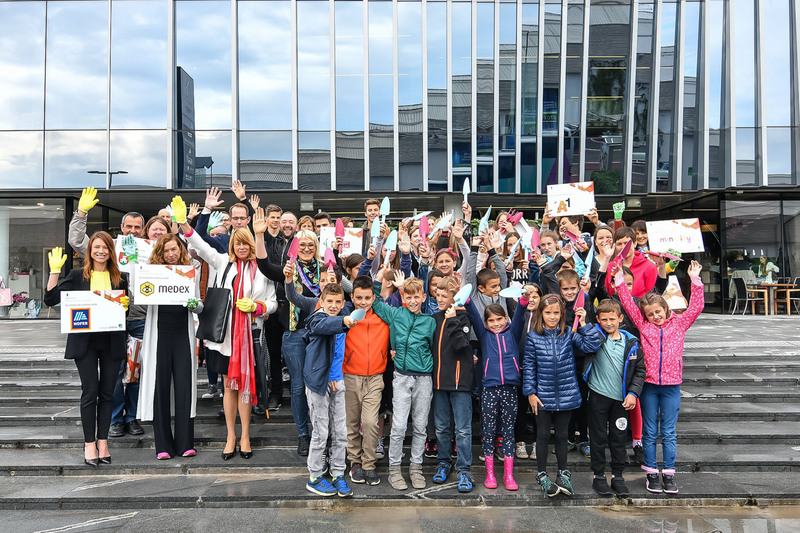 In May, BTC City’s Ameriška Ulica street was transformed into a sunflower avenue with the help of Ljubljana’s primary school students. Meanwhile, citizens could familiarise themselves with the urban beehives of Ljubljana at their respective open days. In June of this year, the exhibition Where Bees are at Home (“Kjer so čebele doma”) in the Slovene Ethnographic Museum also put on display a bee monitoring centre. 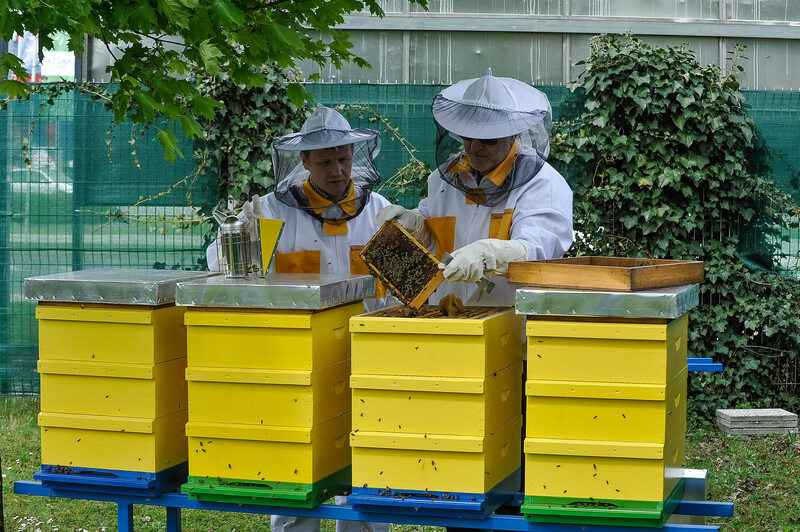 In cooperation with the Urban Beekeepers’ Association and the City of Ljubljana, BTC will organise the already second expert panel and workshop titled “The Challenges and Opportunities of Urban Beekeeping”. The Urban Nature Atlas includes almost 1,000 examples of nature-based solutions from 100 European cities (https://naturvation.eu/atlas). It is part of the broader endeavours of the project partnership Naturvation (led by Durham University), which includes 14 institutions across Europe active in urban development, innovation studies, geography, ecology, environmental assessment, and economics. Naturvation includes city governments, non-governmental organisations, and business. The partners assess what nature-based solutions can achieve in cities, and develop the knowledge and tools required to realise the potential of nature-based solutions for meeting urban sustainability goals.